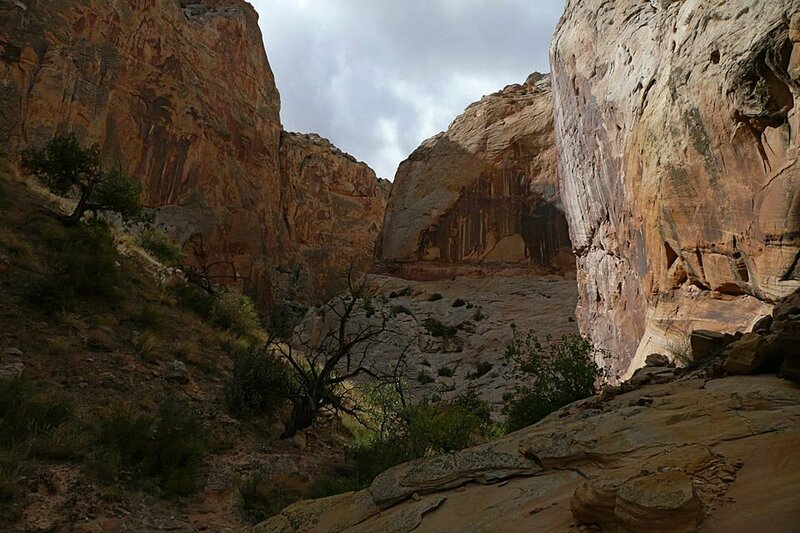 A couple of miles south of the junction of Burr Trail and Notom-Bullfrog Road, we hiked into Surprise Canyon. The narrow canyon trail doesn't get much sun or many hikers but it's beautiful. We were back to the car in a couple of hours. The return to Highway 24 heading north on Notom-Bullfrog Road covers nearly 30 miles of dirt road. Along the way it passes a small primitive campground and a few more hiking trails. One could spend many days hiking all of the trails in the area.